The contemporary view of what constitutes a family is more expansive that ever before. Whatever their composition, families still matter. Homes, pets, good times and bad are all embraced as part of family life. Family Matters puts families and the many things that matter to them in focus. Games, books and a photo booth in the exhibition invite your family to join in the fun. 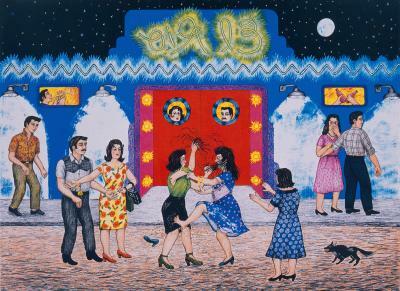 This exhibition is supported the Evelyn Smith Exhibition Fund, members of the ASU Art Museum and the Stulgaitis Family Scholastic Award in honor of Helen Flecha Polina.